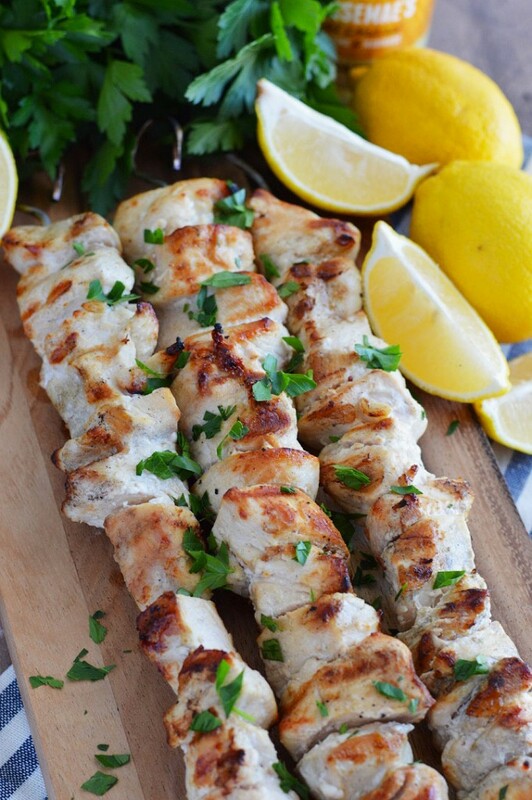 These Three-Ingredient Lemon Garlic Chicken Skewers is an easy and delicious weeknight meal. You can serve them with grilled veggies or cauliflower rice. It also makes tasty chicken salad sandwiches or you can use it to add some extra protein to your leafy green salads.